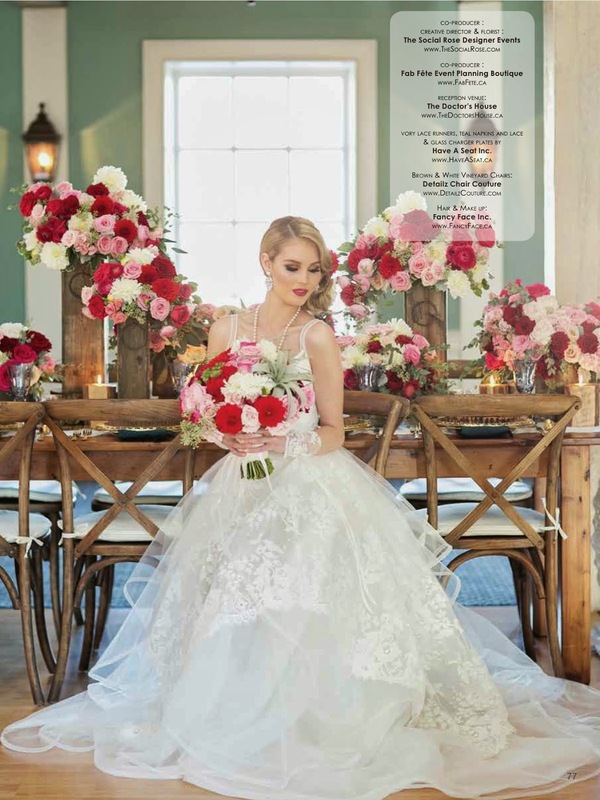 Our latest style shoot for Elegant Wedding Magazine, co-produced by Rosanne Farano from the Social Rose, is an absolute beauty! 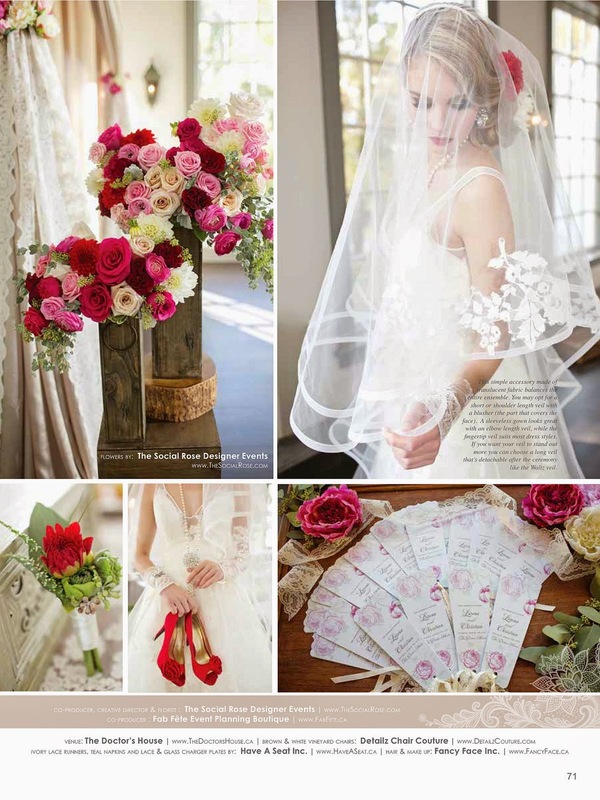 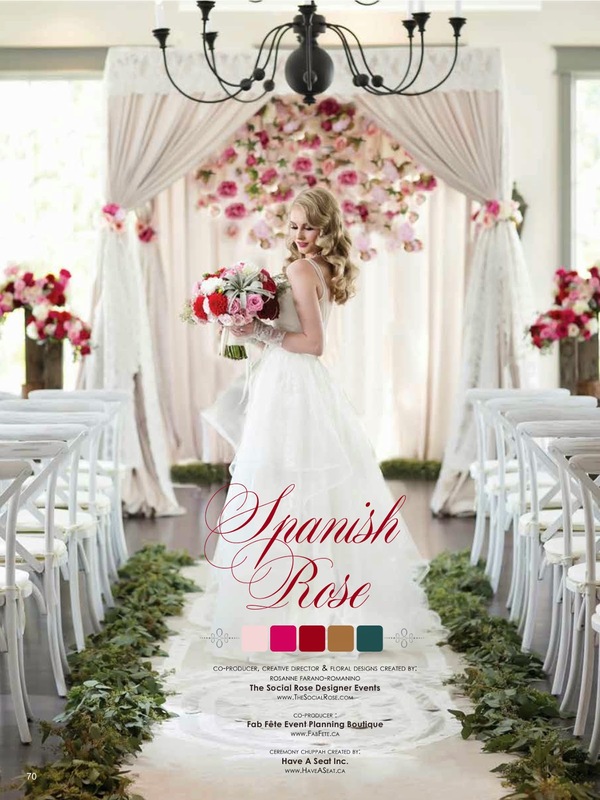 The Spanish Rose theme inspired the red, pink and turquoise colour palette. 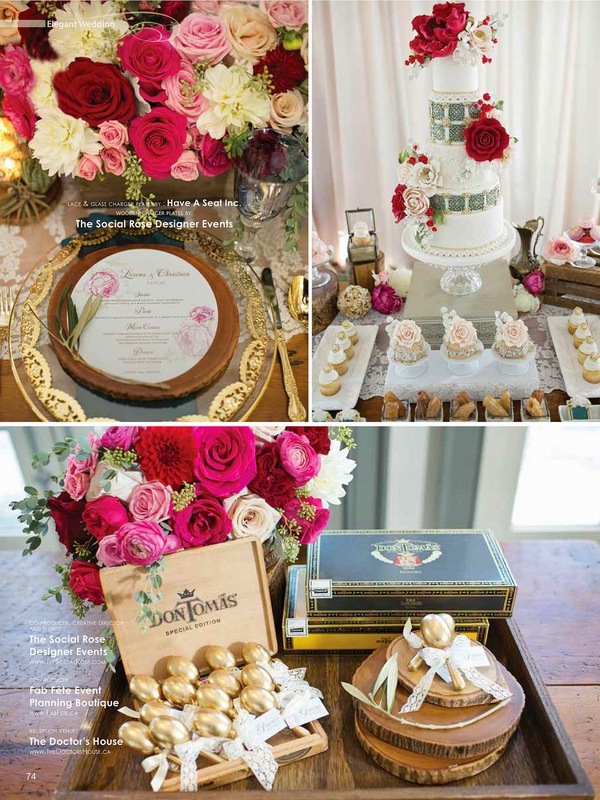 The gorgeous runner and free-falling florals added a graceful elegance to the ceremony. 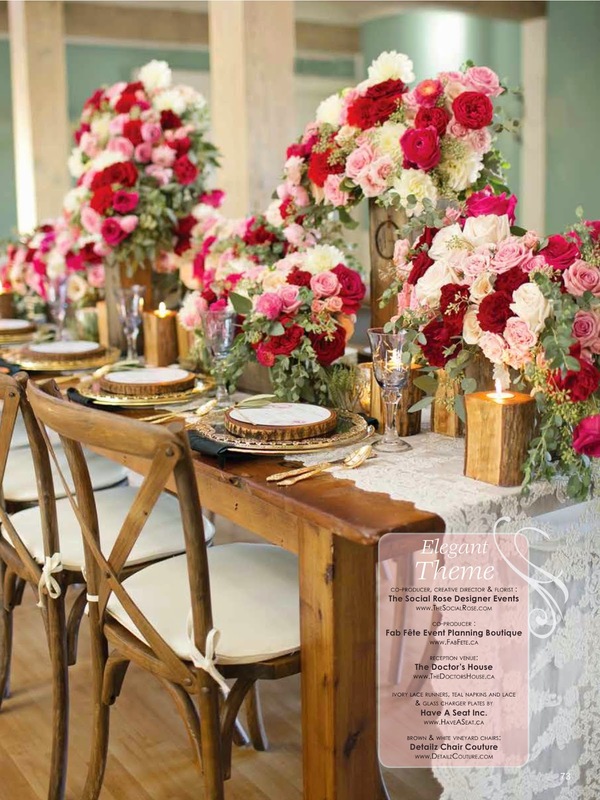 Furthermore, the stunning head table fused various rustic and vintage elements beautifully. 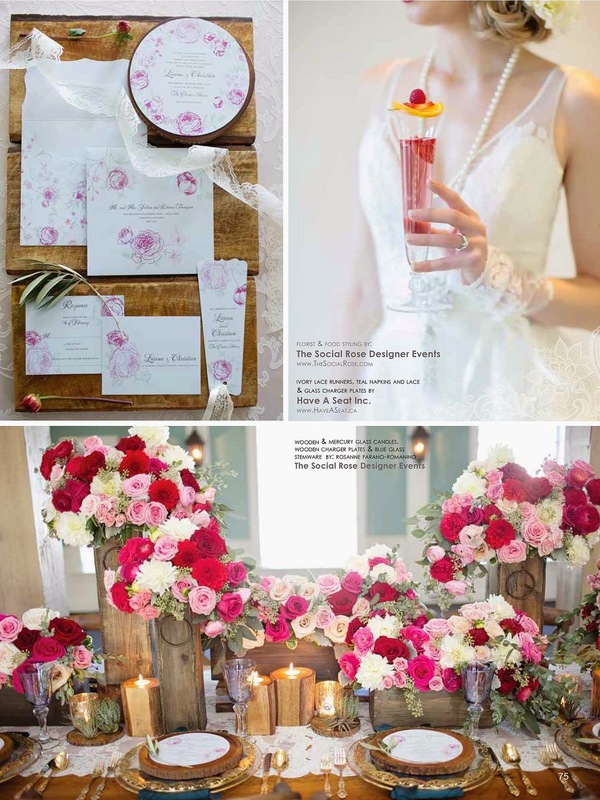 The lace runner, wood chargers, candle holders and vases perfectly blended with the lush and lavish floral arrangements. 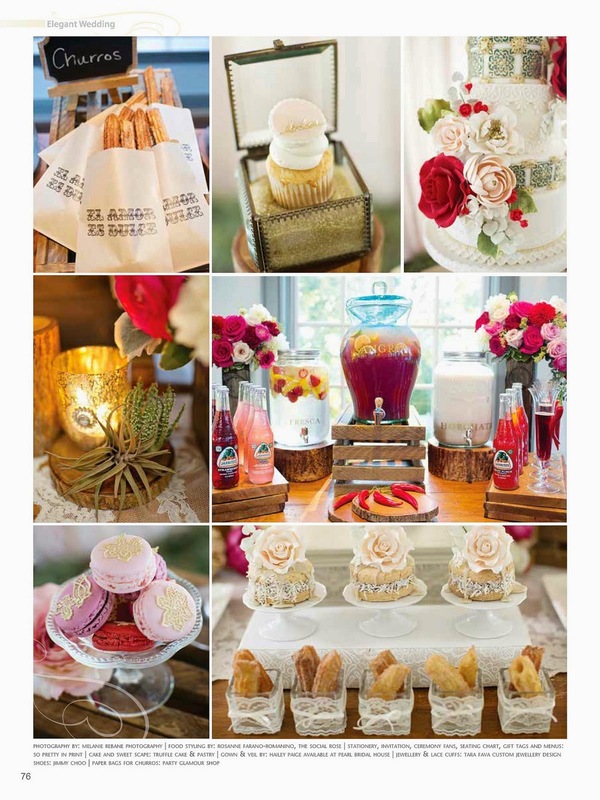 The delicious churros, sangria and maraca wedding favours complimented the Spanish Rose Theme. 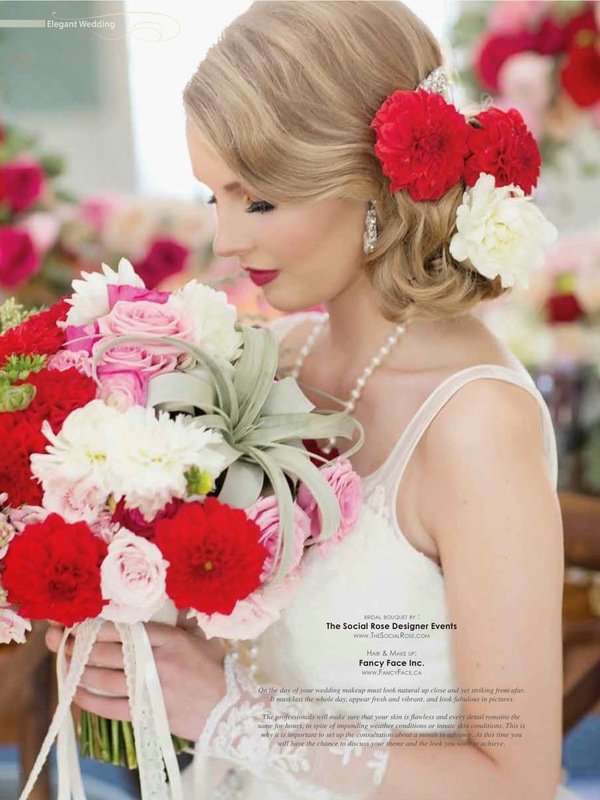 A huge thank you to the wonderful and talented vendors that helped make the style shoot a huge success: So Pretty in Print, Fancy Face Inc., Melanie Rebane Photography, Have A Seat Decor, Detailz Chair Couture, Truffle Cake and Pastry, Tara Fava Jewellery, The Doctor's House, Pearl Bridal House, and Party Glamour Shop.